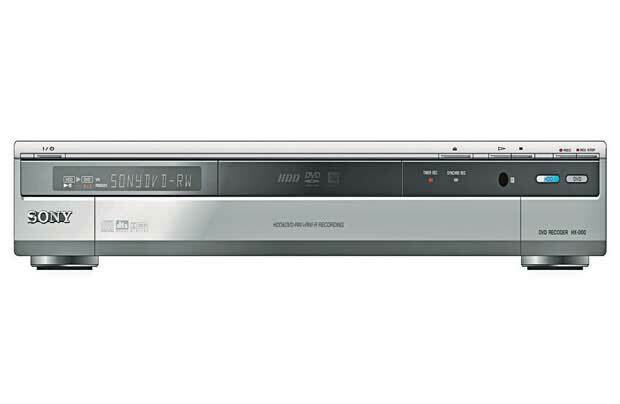 Sony RDR-HXD560 is a DVD recorder with hard disk drive and built-in Freeview digital TV tuner. Sony RDR-HXD560 DVD recorder features DVD-RAM, DVD-R, DVD-RW, DVD+R, DVD+RW playback compatibility support, DVD-R, DVD-RW, DVD+R, DVD+RW recording capability, up to 106 hours recording time with internet 80GB HDD, supports region 2 coding, pause live TV feature, 2 SCART sockets, DV input socket and remote control. The DVD recorder has the dimension of 6.5cm, 43cm, and 32cm (HxWxD), and weighs 4.4 kg.